Quick and easy action. That is what you get when you watch Wanted. No deeper thoughts or greater perspective on life and a healthy disregard for the laws of physics. But do we really need that all the time? I don't think so. 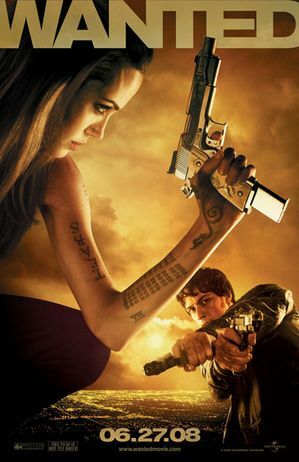 So if you're in the mood for an action packed movie with lots of gun fights, car chases and pretty women (Angelina Jolie), Wanted is a good choice.